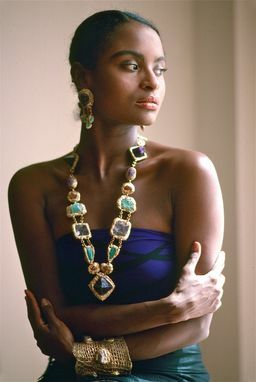 I had a wonderful experience with Pauletta and I love the final product. I especially appreciated her flexibility - in order to reduce the cost, she allowed me to provide my own existing materials. 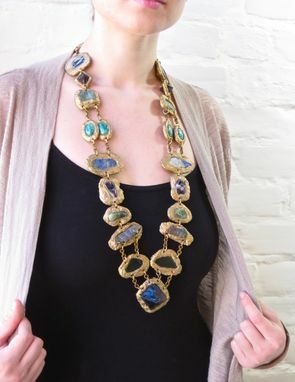 So many beautiful, semi-precious minerals all sculpted into one long necklace. 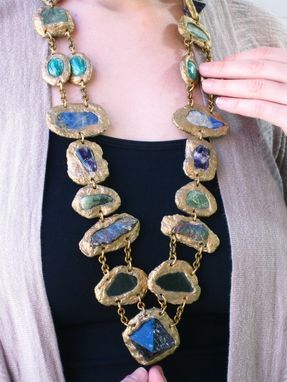 This one of a kind piece took many, many hours (and many chipped nails) but I think it's a real show stopper. Sculpted resin mesh colored with various gold paints and metallic patinas, form the strong base for the minerals. 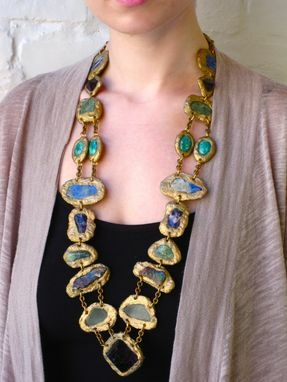 Included are: Fluorite, Wyoming Jade, Chalcopyrite, Amethyst, Lapis, Eliat Stones and Mica. 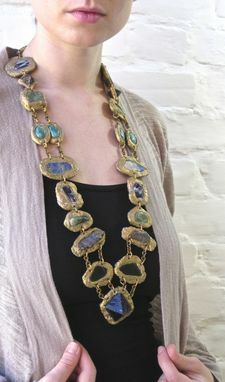 All are connected with an antique, chunky, vintage brass chain. Hangs approx 17" long overall from clasp closure to end of last stone. Every maker has a story. Be a part of Pauletta Brooks Wearable Art's story by placing an order, leaving a review, and seeing your review appear here.